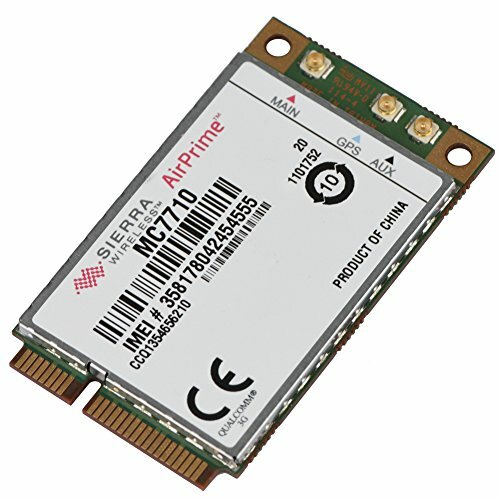 This Mini 4G module Card is an embedded module that can be integrated into PC, laptops, netbook and other devices for 4G mobile data applications. High transmission speed provides you an incredible experience in playing online games, and enjoying HD videos. An ideal platform for electronics and mobile devices. Enabling easier and more flexible design and integration into end devices, suitable for PC, laptop, Netbook, etc. Optimize performance, low power consumption, help you to achieve fast connection speeds adequate for video streaming and surfing. Widely support LET and HSPA + standard, provide fast transmission and wide coverage. Stable working, support Windows, Linux, and Android system. High-quality circuit module board with mini body, efficiently avoid from corrosion and abrasion, durable and portable to use.